WCBN Sports is the official student voice of Michigan Athletics. An entirely student-run organization, we pride ourselves on providing Wolverine fans everywhere with high quality sports coverage through live event broadcasts, weekly sports talk radio on 88.3 FM in Ann Arbor, and several unique podcast series covering all things Michigan and beyond. Go Blue! 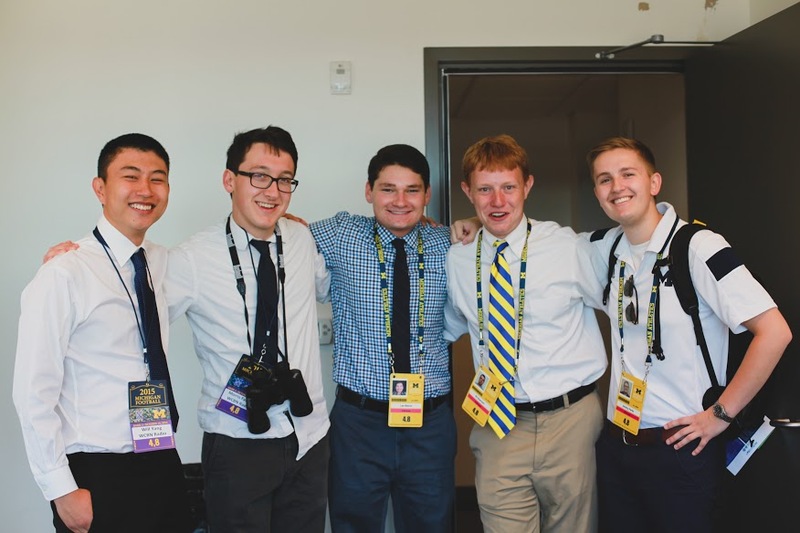 WCBN Sports constantly seeks to bring together students from all corners of the University of Michigan into an engaging and active sports broadcast community. Our team is focused on providing real world experience in the fields of journalism, broadcasting, business, management, web design, and more. We aim to provide the means for students to grow as individuals within their own fields and within the larger Michigan community. Lastly, we hope to create community on campus through one common bond that drives our operation: a passion for sports. All students are welcome and encouraged to join us through our interest form on the "Contact" page. Weekly staff meetings are held in room G027 West Quad on Fridays at 4:00 PM and are open to all prospective members. Following the meetings, new members can be trained in the WCBN studio at the Student Activities Building and begin their broadcast careers right away!